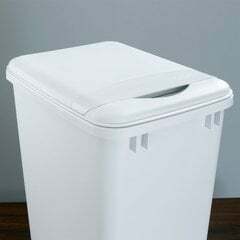 This smooth sliding waste container system features heavy-duty soft-closing slides, a fully adjustable door mount frame with built in bag storage & a white polymer 50 quart waste container. 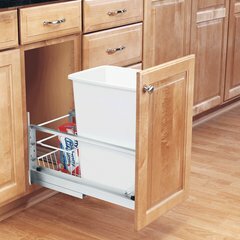 Minimum Cabinet Opening Width : 10-7/8"
Minimum Cabinet Opening Height : 23-1/4"
Minimum Cabinet Opening Depth : 22-1/8"
It's all about the smooth sliding system with the 5349 series. 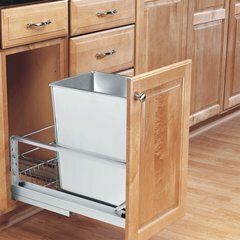 This assortment of single and double stainless steel or polymer waste containers feature heavy duty brushed aluminum soft-closing slides that provide exceptional support and stability eliminating that side-to-side movement and a fully adjustable (10" high) door mount frame with a built-in storage area for bags. 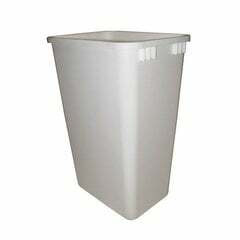 I had a free standing garbage I hated! I bought this and was worried about how it would work out. My husband installed in about an hour. It has changed my life. I am so happy with it. 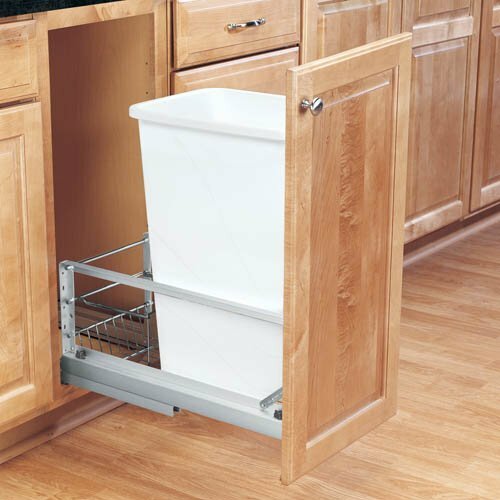 It fits perfectly and so easy to use. 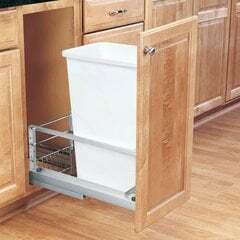 I had been looking for a replacement to a pair of cracked trash bins installed in 1999 with a two container rack on an under-counter kitchen drawer. 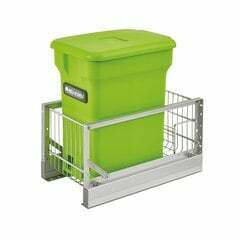 The search had gone on for several months including Lowes, HomeDepot, the Container Store, other on-line companies, etc. 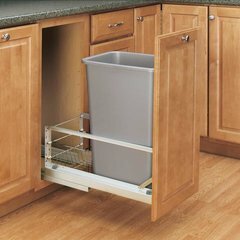 I had no brand name and was not able to find suitable replacements until I spotted these 30 quart bins at Cabinet Parts.com. A customer support rep confirmed the bins were tapered, so I ordered them based on provided dimensions (top and height) and what the rep told me. They fit perfect. 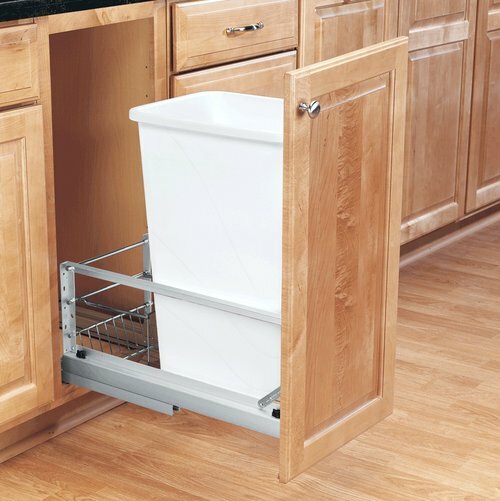 I am limited on space in my tiny kitchen...this under the sink trash can is perfect! 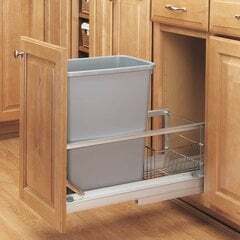 I love the storage for extra trash bags too! Great quality, easy to install and a perfect solution for my needs!